11. 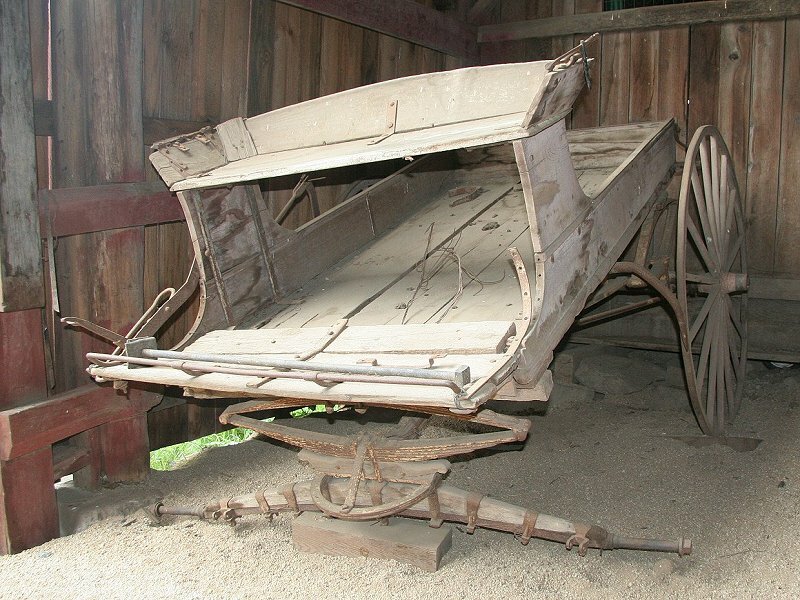 Produce Delivery Wagon - 1860s onward. Used to carry boxes of fruit, vegetables, and so on from farm to market or to customers, usually with a two-horse team. The tail gate allowed easy loading and unloading. 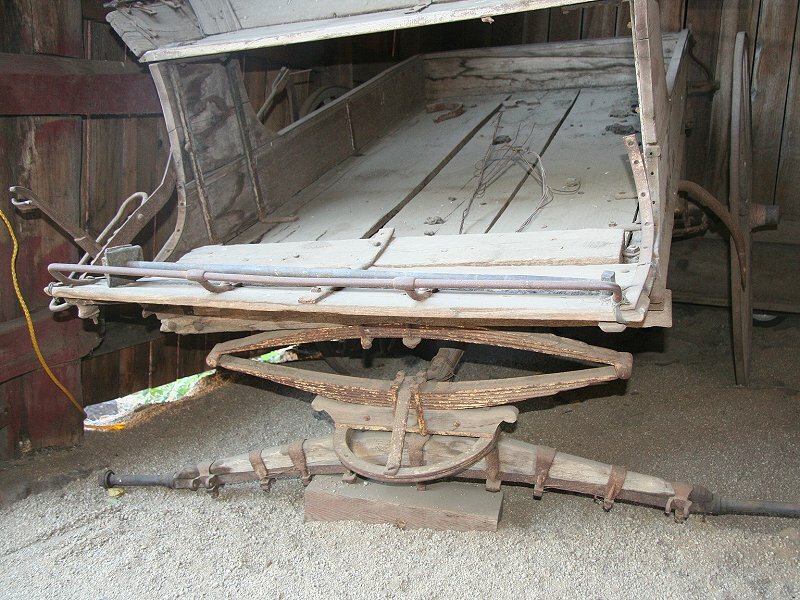 This wagon once had a canopy over the driver, supported by brackets seen on either side of the seat. 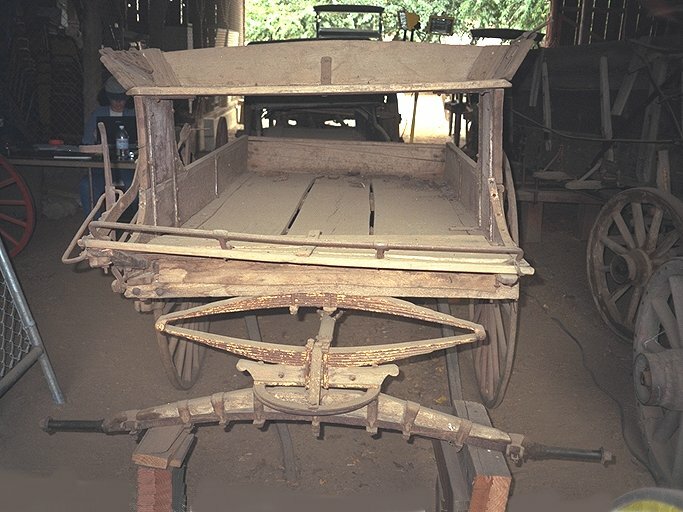 We have one surviving front wheel which we plan to "conserve," and also make a duplicate so we have a complete wagon. Front view of Delivery Wagon before being put into place. Missing front wheels give this wagon a trashed appearance. Close-up of the front leaf spring clearly shows its multiple leaves.